A smooth and creamy frozen yogurt that is a breeze to make, only requires 4 ingredients, is healthy and delicious! 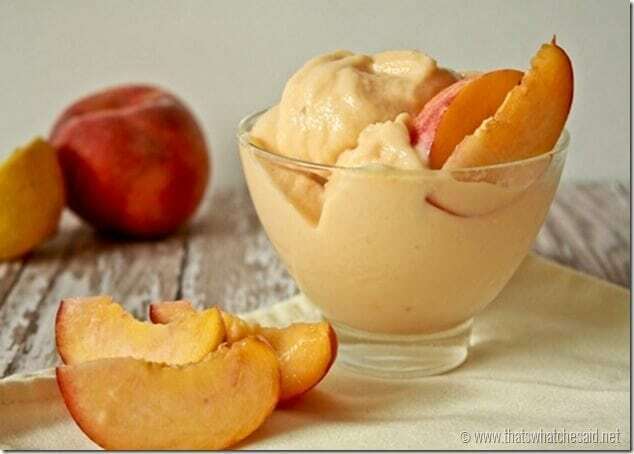 4 Ingredient Peach Frozen Yogurt Recipe. It’s no secret that my family loves frozen desserts. 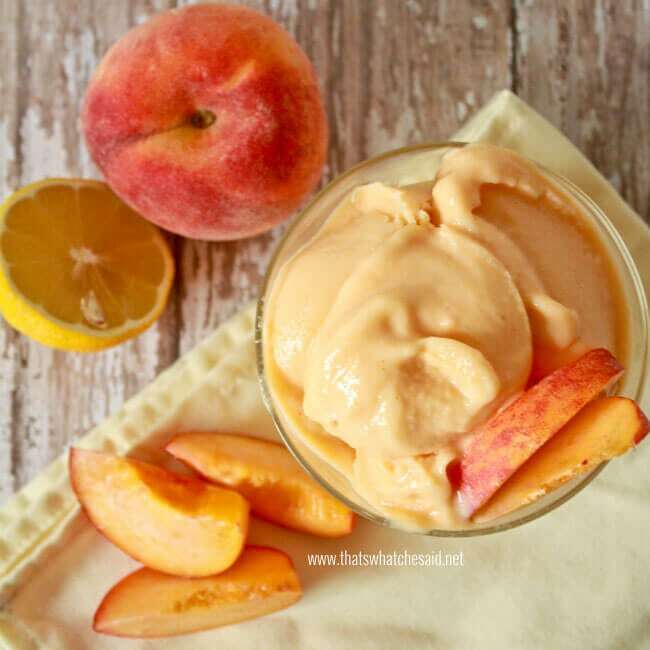 I have shared a few before and I could not be more excited to share this 4 Ingredient Peach Frozen Yogurt Recipe with you as well. 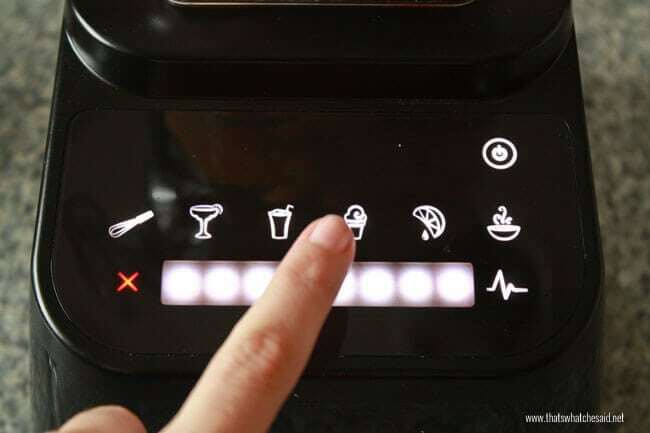 It is so easy and it is so delicious! 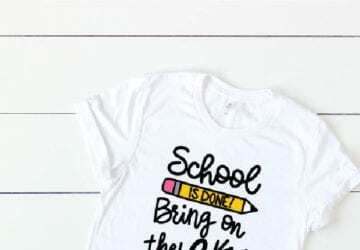 My kids eat it like it’s cake frosting! Seriously! With only 4 ingredients, it whips up in a matter of minutes and you have a fabulous, fresh and healthy dessert to enjoy without any guilt! 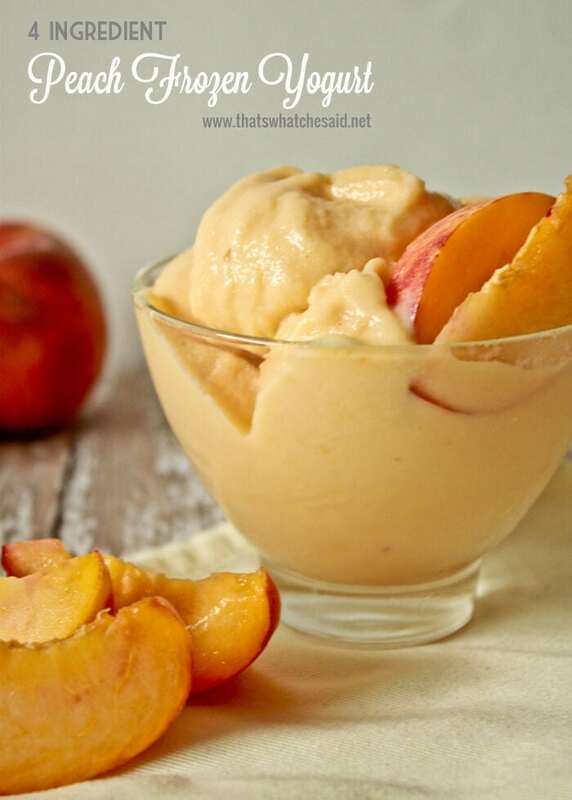 This is so easy and with only 4 ingredients and help from the grocery store I get to say “YES!” when they ask me to make them this peach frozen yogurt I can’t wait for peach season to get here and then I will make this with fresh peaches versus frozen. 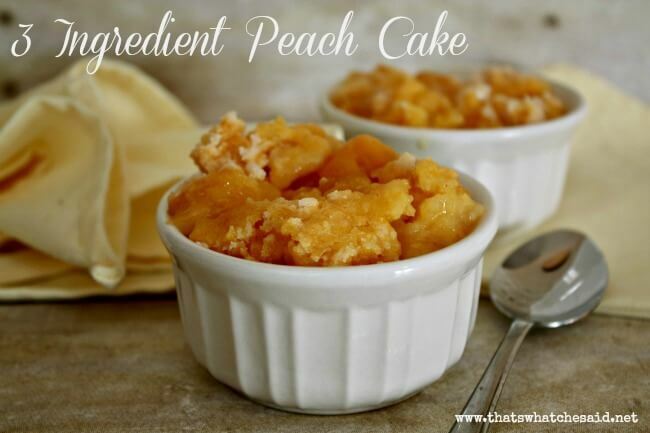 However frozen peaches work perfectly to give the proper consistency of the treat! I like to use Vanilla Greek Yogurt with this because we are huge Greek yogurt fans. If you are not, then feel free to use your favorite brand and kind of non-fat yogurt! The extra protein from the Greek is a plus for us! 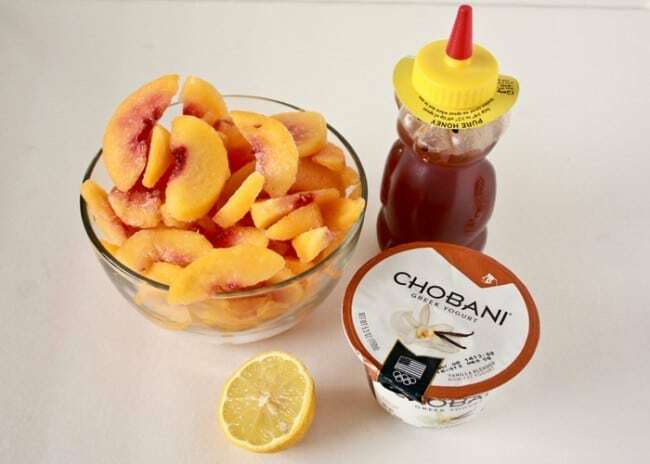 Making the Peach Frozen Yogurt is as simple as the ingredients! 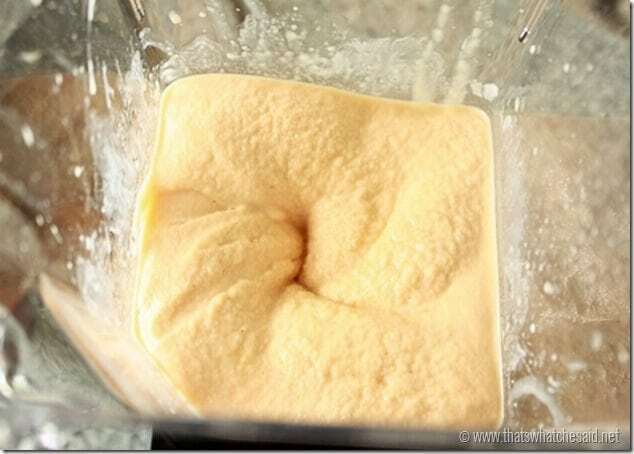 All you have to do is add the ingredients to a blender or food processor. 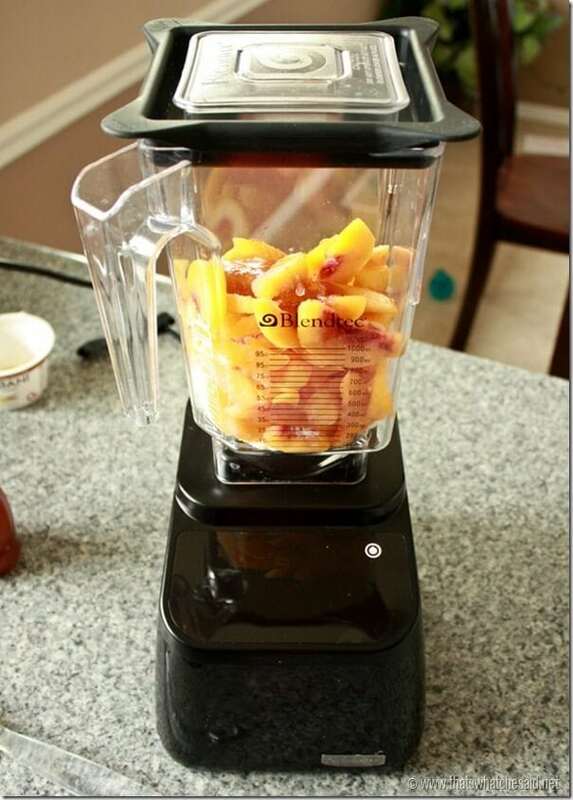 I love, love, love my Blendtec. It’s amazing and really is a member of the family :) Everyone in the pool! Just put all the ingredients into the blender! 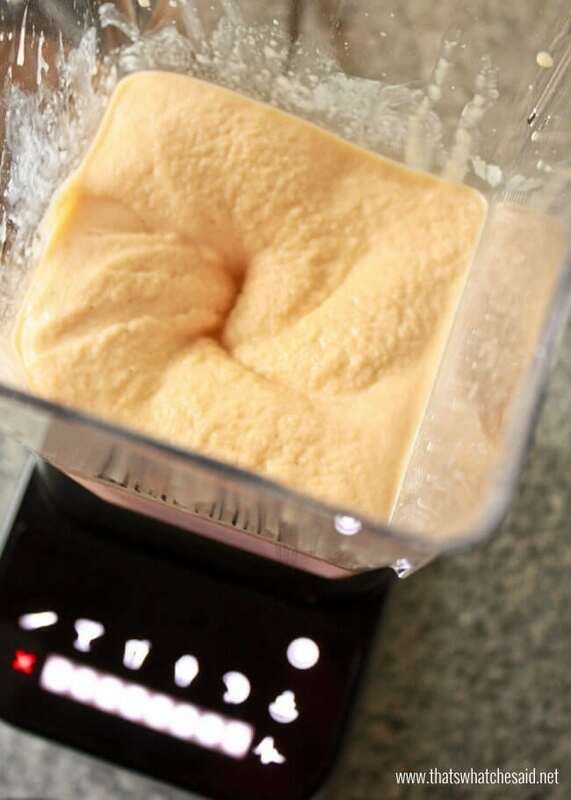 Blend until smooth and creamy The great thing about the Blendtec is it has a specific button for frozen treats! The creaminess is just amazing! You can serve it straight from here and it will have the consistency of soft serve. 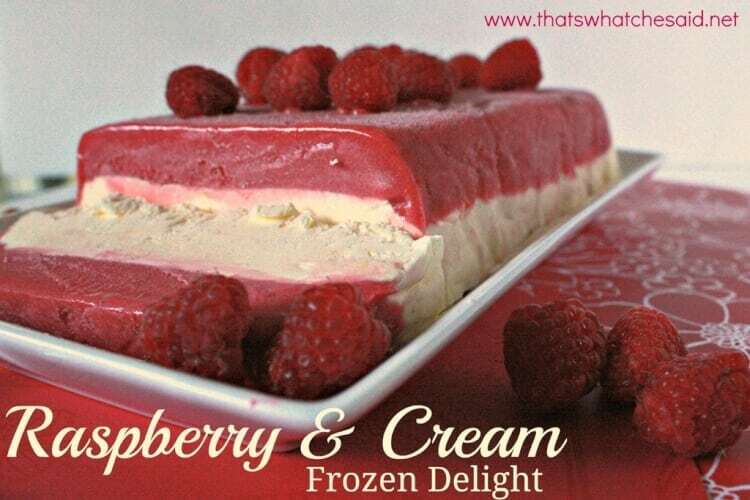 You can also chill it in a 8 x 8 pan in the freezer if you’d rather scoop it! I store in the freezer in an air tight container and honestly cannot tell you how long it will last in your freezer because ours gets eaten faster than I can make it! 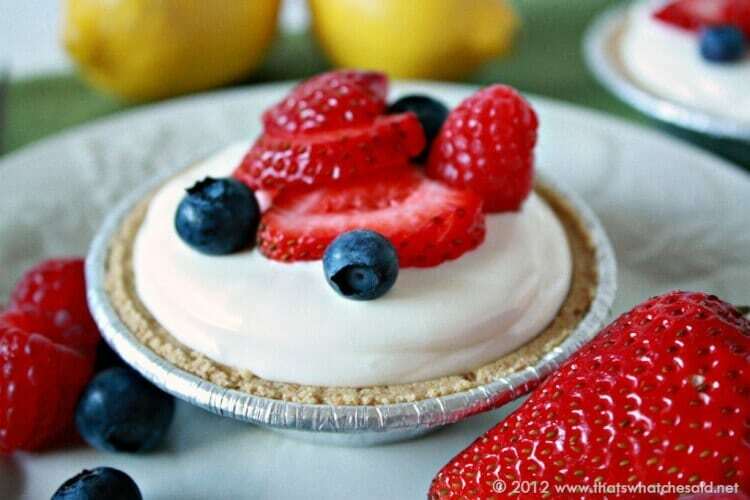 A delicious 4 ingredient, healthy treat that makes the perfect summer dessert! Serve as is for soft serve or freeze in a 8x8 pan for a more firm consistency. Store any leftovers in an air tight container. Get creative! 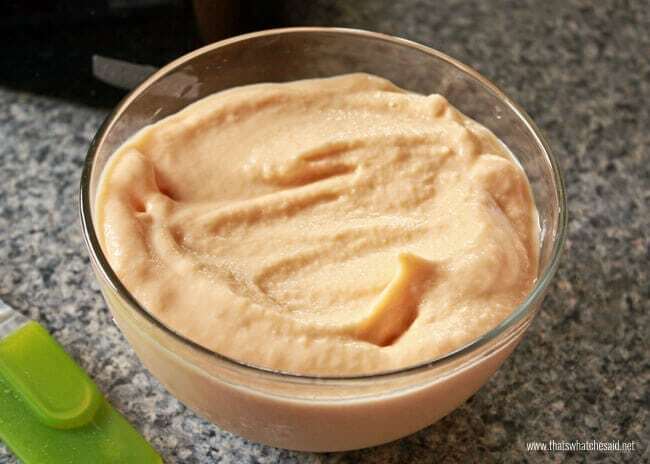 You can pretty much alternate several other frozen fruits to make different variations of this Peach Frozen Yougurt! Strawberries, Pineapple, Mango, Cherries…the options are endless! 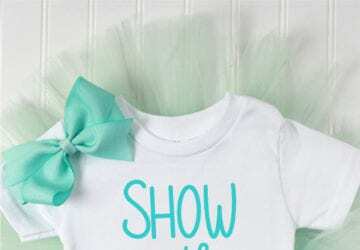 You could also mix and match! How good does peach-pineapple-mango sound? Maybe with some coconut yogurt! Mmm…my taste buds are already watering! Get creative with your combinations or keep it straight and simple! Either way you will enjoy this simple dessert! I also love recipes with only a few ingredients…and peaches like these 3-ingredient Peach Dump Cakes! Excited to try a new recipe!! !